Local stocks exposed to the regional tourism sector will most likely bear the brunt of the Mers (Middle East respiratory syndrome) outbreak that has shaken North-east Asian markets, said analysts. 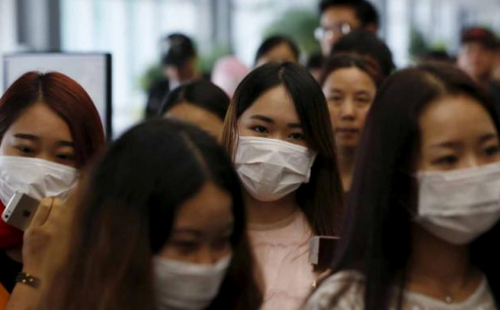 More than 50,000 tourists cancelled their trips to South Korea within a week of the first confirmed Mers case, OCBC Investment Research head Carmen Lee noted. Singapore Airlines (SIA) has lost 10.4 per cent since May 20, closing at $10.42 yesterday. Ti-gerair closed 6.35 per cent lower at 29.5 cents over the same period. "We already have an underweight call on the aviation sector in view of weaker global economic growth and persistent overcapacity. Mers would strike yet another blow to stocks such as SIA and Tigerair if it hits the regional tourism sector," Ms Lee added. Phillip Futures analyst Howie Lee agreed that airlines would be most affected, saying: "Profit margins in the aviation sector are typically tight and the high level of fixed costs means the sector is highly vulnerable to revenue fluctuations. With many countries advising caution on travelling, airline receipts could take a hit." In the hospitality sector, the already stressed Genting Singapore may see further downside as fear over Mers builds up, IG analyst Bernard Aw said. "If Mers spreads into Greater China - which is already stirring the markets there now - the Chinese will cut down on travelling. Genting's integrated resort (in Singapore) is hugely dependent on Chinese visitors, so Mers will strain the counter even more," he said. He was referring to the counter's 15.74 per cent drop so far this year to 91 cents yesterday. And if Mers were to spread as widely as the severe acute respiratory syndrome (Sars) did in 2003, sectors such as aviation and hospitality could come under further selling pressure. "Hotel and retail stocks would be highly vulnerable, as would companies such as SMRT, as public transportation ridership figures would be badly hit," noted OCBC's Ms Lee. But despite these potential concerns, analysts all agreed that there is no need to push the panic button now. "Certainly I would keep an eye on the aviation and hospitality sectors, but I don't think we have a second Sars in the making," said CMC Markets analyst Nicholas Teo. In South Korea, where the Mers death toll hit 19 yesterday, the stock market has taken a beating, with the Kospi index losing 5.18 per cent since May 20, when the first death was reported. Hong Kong's Hang Seng Index shed 1.09 per cent on June 10 - the most among key Asian markets that day - when the authorities said they were testing a woman for the virus, reflecting the potential market impact a viral outbreak could have. And it is "just a matter of time" before the first case of Mers is confirmed in Singapore, Prime Minister Lee Hsien Loong said last week. When Sars hit Singapore in 2003, the benchmark Straits Times Index crashed to 1,170.85, its lowest level since at least 2000. However, the present situation does not look to be as serious. Phillip Futures' Mr Lee said: "We have contacts who just returned from Seoul and described the situation there as 'relaxed' among the locals. The fear is not widespread on the street yet."